The file Advanced Difficulty Settings Menu v.0.11 is a modification for BattleTech, a(n) strategy game. Download for free. 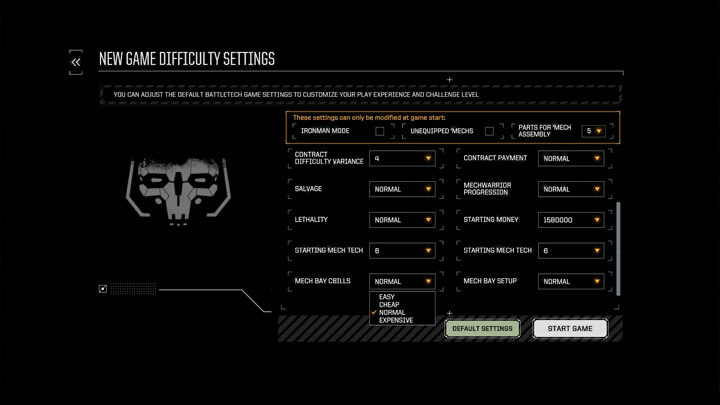 Advanced Difficulty Settings Menu is a mod for BattleTech, created by LadyAlekto. We heavilly recommend creating backup of original version of DifficultySettings.json file first.